GANADO Advocates is member of Lex Mundi, the world’s leading network of independent law firms with in-depth experience in 100+ countries. Each member firm is selected on the basis of its leadership in – and continued commitment to – its local market. 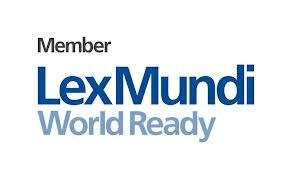 Lex Mundi’s principle is one independent firm for each jurisdiction. Firms must maintain their level of excellence to retain membership within Lex Mundi. The members of Lex Mundi maintain complete autonomy; render professional services to their respective clients on an individual and separate basis; are not be restricted in referring, handling or accepting cases or in joining other professional organizations; and are not affiliated for the joint practice of law.